The Los Angeles Clippers are in a desperate situation, as they have to go on the road and figure out a way to survive another first-round exit from the playoffs, this time at the hands of the Utah Jazz. And with changes possibly in the offing, who knows what owner Steve Ballmer will do for next season. Meanwhile, Utah has benefited by the return of Rudy Gobert, along with the injury that was suffered by Blake Griffin, as they look to close out the series, in a game that is slated to begin at 10:30 PM ET at the Vivint Smart Home Arena in Salt Lake City. BetAnySports customers can get reduced juice on their NBA playoff odds, and after the opening tip, they can continue wagering as they take advantage of what Live Betting Ultra has to offer. 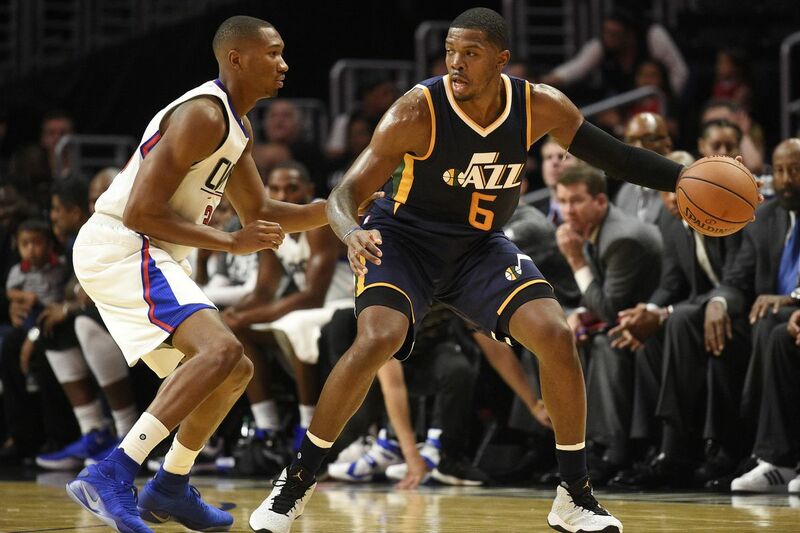 The Clippers were a more attacking crew after Gobert went out with a hyperextended knee, as the Jazz really only had Derrick Favors manning the middle – and he was overworked. But that was just for a few games. When Gobert returned to action, things changed. He logged 24 minutes in Game 4 and that increased to 36 in Game 5, as he had eleven points, eleven rebounds and five steals. The Clippers were very careful about going inside, taking 43% of their shots from beyond the arc in Game 4, but they got a little bolde rin Game , taking only a third of their attempts from downtown. Gordon Hayward was another player the Jazz were worried about, as he had to leave Game 4 with effects from food poisoning. But even though he said he felt weak in the legs in Game 5, he managed to score 27 points in 41 minutes. He is shooting 48% for the series, and with the presence of Joe Ingles, George Hill and Rodney Hood, who woke up with 16 points in Game 5, Utah has more outlets to turn to than do the Clippers. What was really disappointing about the Clippers in Game 5 was the fact that they got very little out of their supporting players. Aside from Chris Paul (28 points, nine assists), JJ Redick (26 points) and DeAndre Jordan (14 points, 12 rebounds), the Clippers scored 24 points. Redick has, on balance, been ineffective from three-point range, going just 7 for 22, and after an explosion in Game 4, in which he scored 25 points off the bench, including five triples, Jamal Crawford had just four points and attempted four shots in Game 5. Austin Rivers also came back to action for the Clippers, but went 0-4 in 18 minutes, which was more than a lot of people thought he was going to play, coming off his injury. The intriguing matchup here involves DeAndre Jordan and Gobert. Jordan has averaged 14.2 ppg and 13 rebounds, and he may have to be very assertive underneath if the Clippers are going to have a chance to move forward here. Remember that the Jazz are going to have a big advantage on their bench, especially with Joe Johnson, who has been this team’s standout in at least two games – the opener, when he sank the game-winning shot and totaled 21 off the bench, then was a dominant figure in Game 4, with 28 points. With balance on offense, and Gobert in the middle, they should be able to close this series out in Salt Lake City. BetAnySports gives customers a great free play bonus just for signing up, then gets them with reduced juice, which affords them better NBA playoff betting odds…… Remember that there are number of ways to open up an account, among them the virtual currency of Bitcoin, which is not only fast and easy with their automated system, but never, ever incurs a transaction fee!